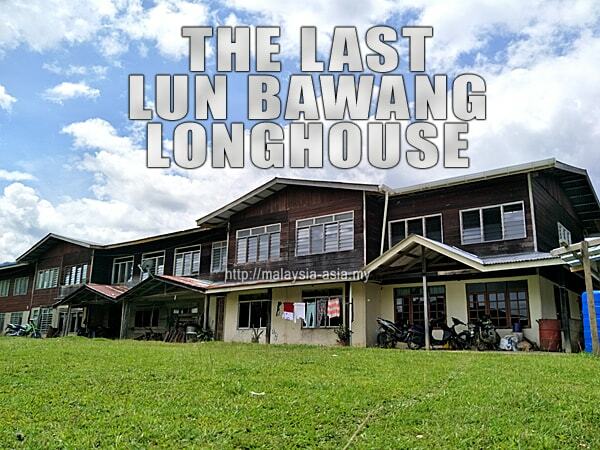 For some reason, I had to write this article about the last standing Lun Bawang longhouse here in Bakelalan, which was inspired on my last visit here in October 2018. 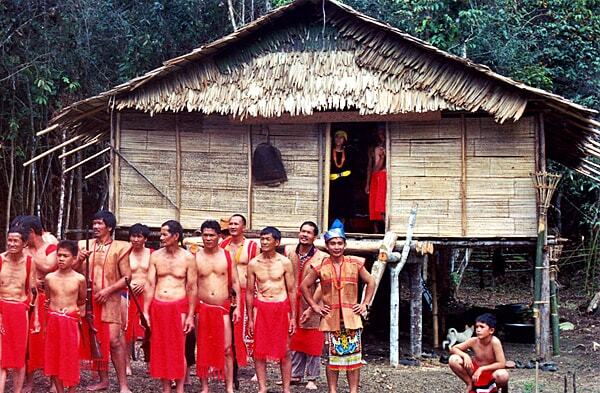 Though these people are a minority in the many ethnic tribes of Sarawak, the Lun Bawang people are also one of the smallest of the Orang Ulu group here. 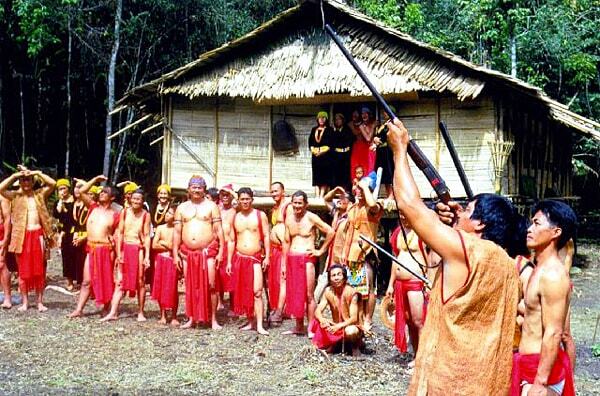 They can be found in the Lawas district of Northern Sarawak which borders Brunei and Sabah, where Bakelalan is one of the original and traditional place to see them. After visiting Bakelalan a number of times, I finally got around to learning about this friendly society that live in the beautiful highlands of Sarawak. On my recent visit to Buduk Nur, Bakelalan, I was there on a bird watching expedition, where a cross border initiative was arranged between Sabah and Sarawak to promote birding in Sarawak. It was then when our group had the pleasure of staying at the lovely homestay of Cikgu Sang and his amazing wife, Julia Sang. By the way, Cikgu translates from the Malay language as teacher. Just so you know, there are no hotels in Bakelalan, and only warm homestays that make this one of the best experiential tourism places. We would be out at 7.00 AM daily to explore trails or bird watching, and just before lunch, the group would be back at Cikgu Sang's place for lunch. One of the days when we were relaxing after lunch, I was talking to Cikgu Sang about the Lun Bawang people here, and asked him about their interesting culture. 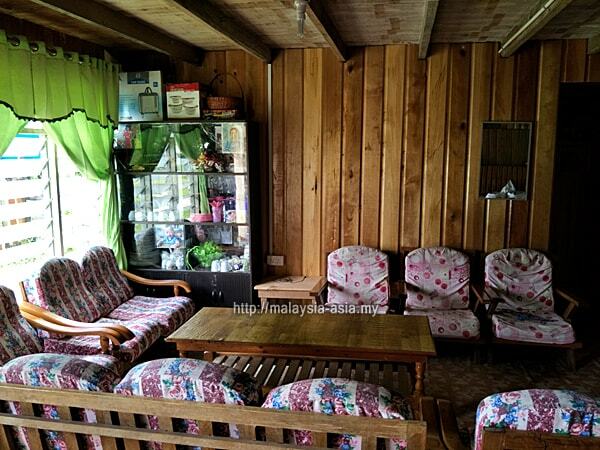 The topic lead on to why there was proper traditional longhouse, and Cikgu Sang pointed out that there was in fact one last longhouse for the Lun Bawang people, and his relatives were living there. Pointing out his window, it was right there, about 200 meters from his home, and not looking like one of those authentic longhouses that I was expecting. Without fail, I got overly excited, and of course, an invitation by Cikgu Sang to visit the Lun Bawang longhouse was the following words. Grabbing my smartphone and camera, we headed to the longhouse, and along the way there, a barrage of questions started coming out from my mouth. 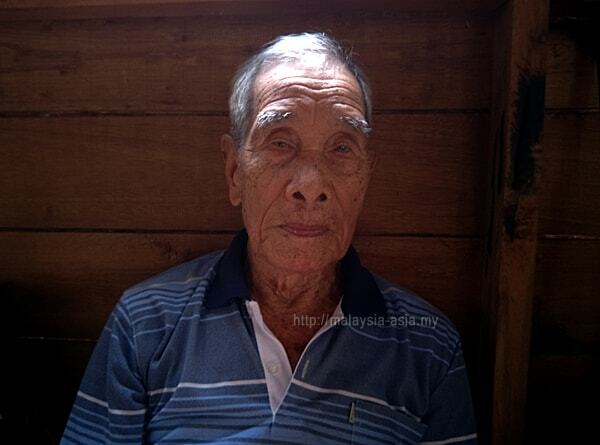 Why, who, what, when were all asked, and having been a local growing up in Bakelalan, Cikgu Sang had explained what he know about the Lun Bawang culture, dating back to his grandparents era. Originally, the community of the Lun Bawang people lived in multiple longhouses all over the Bakelalan heartland, coming in from Long Bawan across the border. History also states that the origins of the Lun Bawangs come from central Borneo, and congregated in the Maligan Highland area where they made it their home. 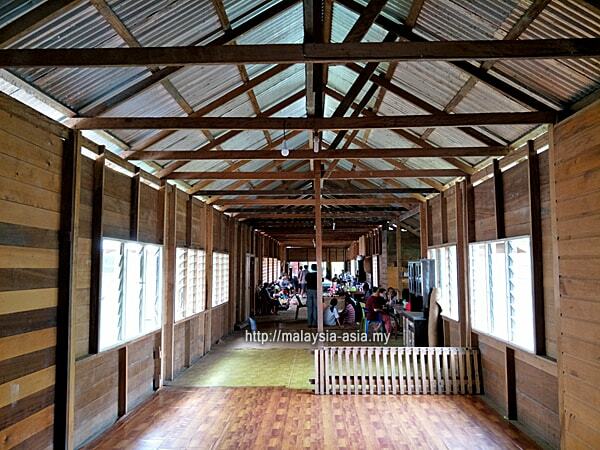 A photo of a traditional Lun Bawang Longhouse in Long Semado, taken many years ago. 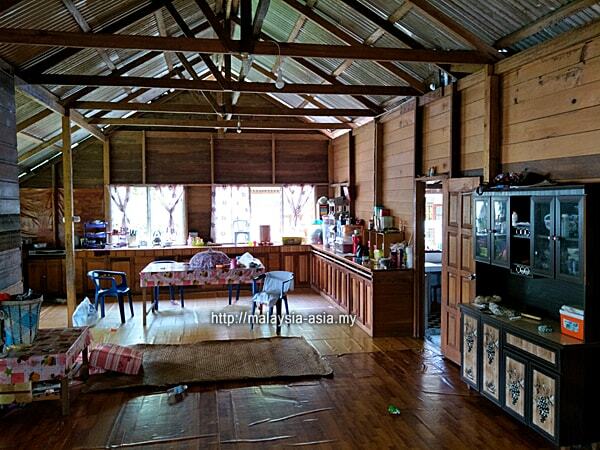 Sadly, I do not have any photos of what an original Lun Bawang longhouse looks like, but I did find some examples on the internet, which the photos were taken in Long Semado a long time ago. 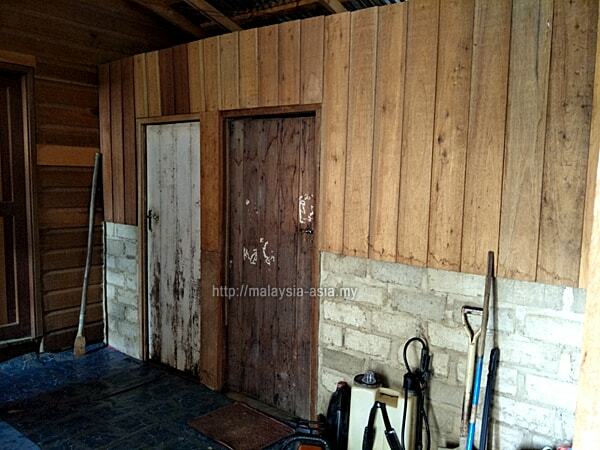 The last Lun Bawang longhouse in Bakelalan is pretty much a modern wood and brick design, with a total of six doors or 'rumah panjang enam pintu'. 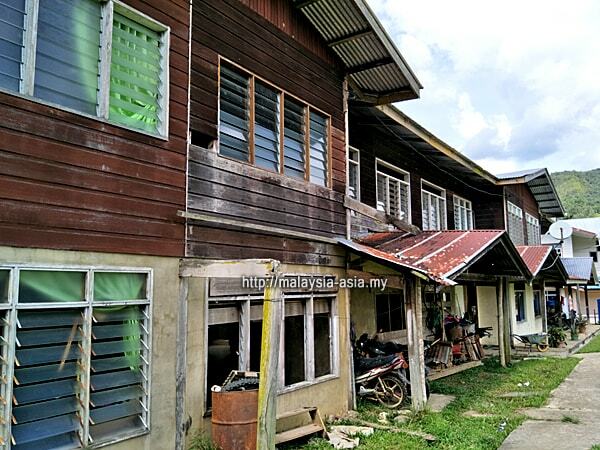 This means, six families stay at this double storey building. I was informed that in the old days, these longhouses could have up to 20 to 30 doors, and over 100 people from various families staying in one single longhouse. The last few original longhouse were seen back in the 70's and 80's, and over the years, they started to break up and become individual homes. Some of them caught fire due to the materials, but most of them started to modernize and be standalone units. Right now, this one longhouse in Buduk Nur still remains, and from outside, you would not even notice that it is a longhouse. Only when you get closer and get inside, you will see the that this is indeed the last Lun Bawang longhouse left here in Bakelalan, and possibly the entire Lawas and Maligan Highland area. The current Bakelalan longhouse entrance serves as the main receiving hall, family and visitor area for guests, friends and family members. From the front portion, you will walk through the washroom and toilet area, and into the kitchen and common area where families gather, cook and eat. 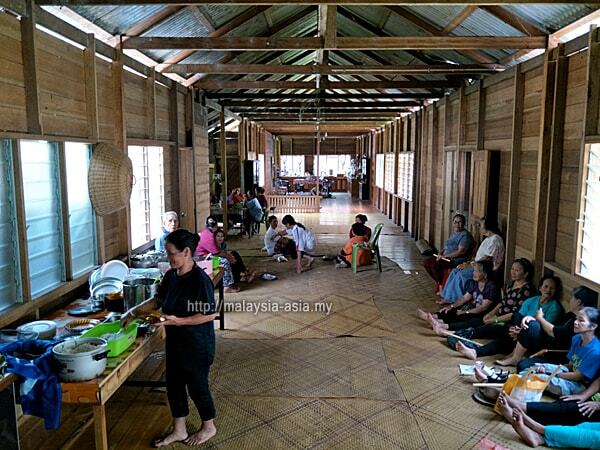 This is one huge and long open area, where there is no divider, hence families are free to walk about in this section of the longhouse. In the kitchen area at the back, it is one long area open to all families. 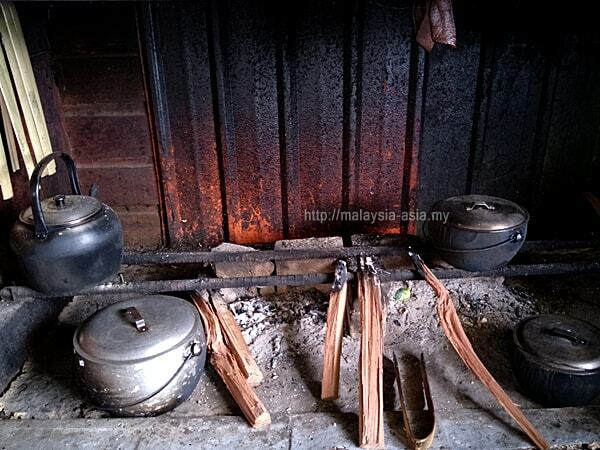 But each family has their own kitchen section and traditional wood stove where they still use for cooking and boiling water. 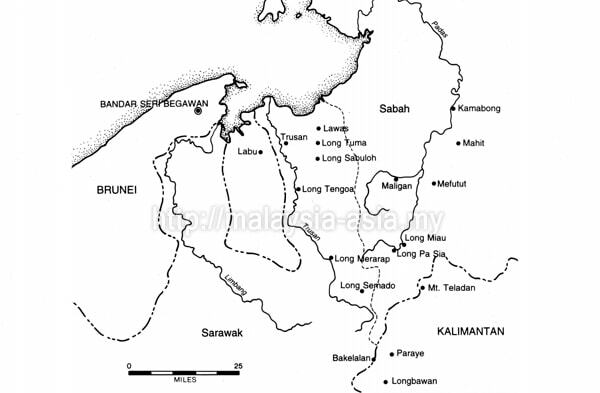 Why did the Lun Bawang people live in longhouses? Well, from research papers, their main reason was for defense against other attacking tribes. However, since the turn of the 20th century, is no longer happening, and most of the thatched longhouses have been replaced by wood, zinc and bricks. 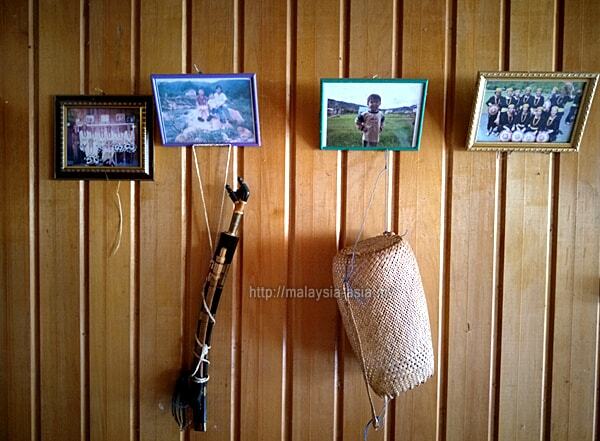 Below are random photos taken inside the last Lun Bawang longhouse in Bakelalan. I specifically asked Cikgu Sang to show me around, except the personal bedrooms. 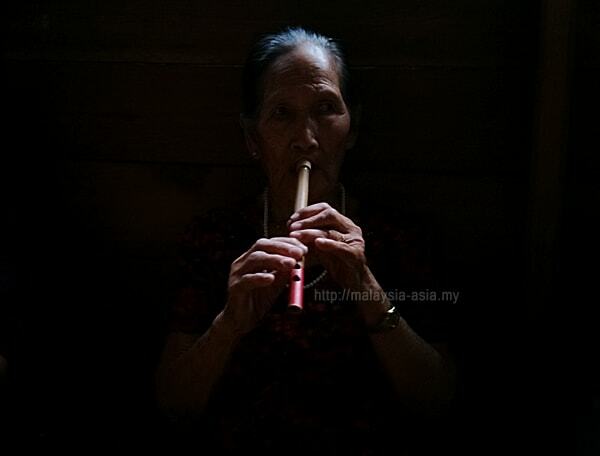 Just to add that when I visited the longhouse, the entire village was there for their rare bamboo musical instrument tuning session, and you can see it in one of the photos below. 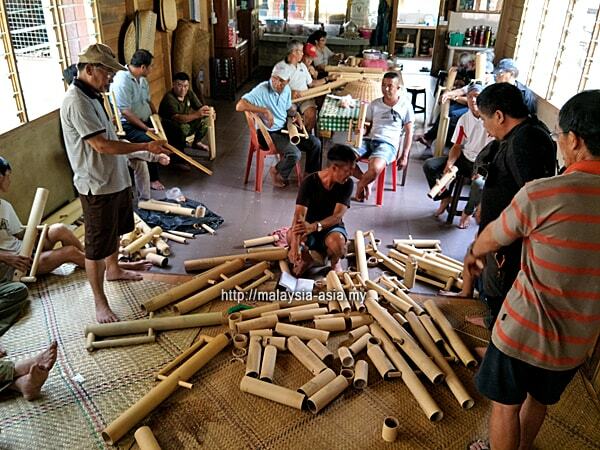 Good friend and traveling buddy Kevin Nila also documented the Lun Bawang bamboo band in one of his articles, which stresses on the 'Bas' of bamboo horn. 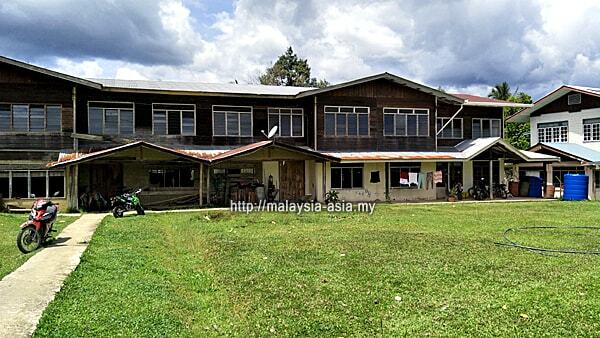 Bakelalan is located in the Maligan Highlands in the Limbang district of Northern Sarawak. This remote village is also 20 minutes from the border to Kalimantan, and has a border checkpoint. The altitude of Bakelalan is estimated to be around 950 meters above sea level, which makes this village a very cooling place. 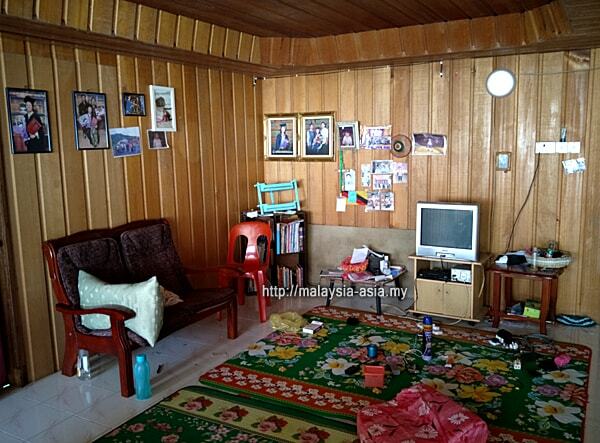 The immediate neighbor is no other than Long Bawan, a 20 minute drive across the Kalimantan-Malaysia border. The next closest village to Bakelalan in the Sarawak side is Bario, which is another highland village that is home to the Kelabit people. You can also read about my interesting travel to the Bario Highlands, as I have visited the other village numerous times. How To Go To Bakelalan? There are only two way to get here, and the most practical is by taking a 4x4 off road truck. But depending on the luxury of time, you have the alternative flight you can take. Driving to Bakelalan - Most people do this as it is much easier, but a unique rural journey passing villages and incredible landscapes. The dive from Lawas takes about five to six hours, depending on the weather. 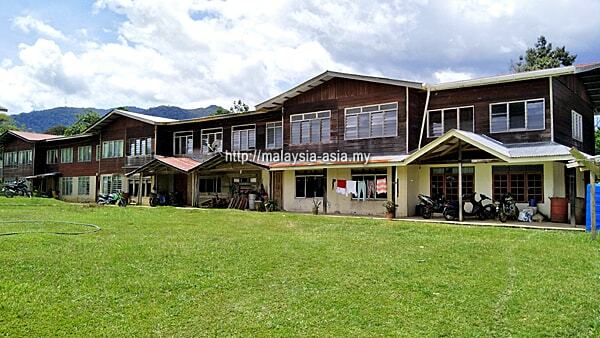 The best way to drive to Bakelalan is through the town of Lawas, which sits in between Sabah and Brunei. 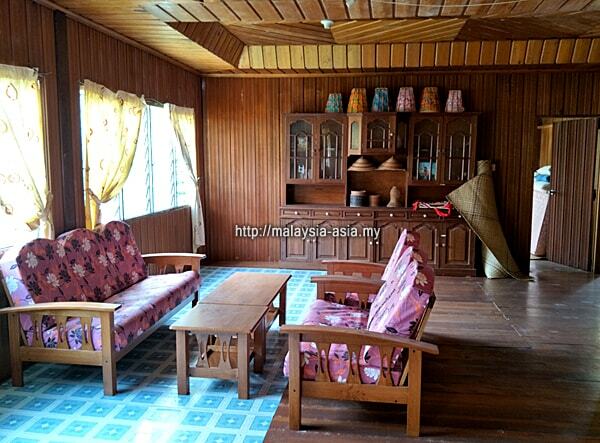 This place is quite laid back and is one of the known Lun Bawang towns of Sarawak. 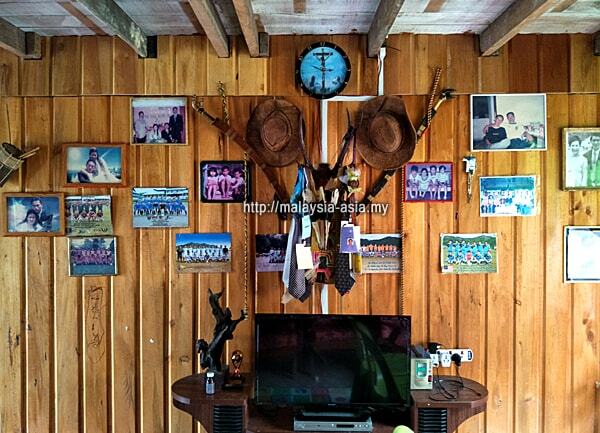 For visitors coming here, they usually fly into Miri City, then connect with a MAS Wings flight to the town of Lawas. From Lawas, they will embark on the 4x4 journey to Bakelalan. Flight To Bakelalan - This is of course, the fastest way to get here, but there are only two flights a week, and you need to plan your arrival and departures well to meet the flight schedule. Flying to Bakelalan can be done via Miri Airport or Lawas Airport, and in a day, there are only two flights. Tickets should be booked way in advance for these rural flights due to the plane capacity. The planes used are the DCH-6 Twin Otter turboprop aircraft, which sits a maximum of 15 passengers at one time. Check in luggage is 15 kgs, and each additional kilogram is charged at RM2.00 per kilo, which is purely subsidized for the local Lun Bawang people traveling. The Bakelalan Airport is also one of the most unique Short Take Off and Landing (STOL) airports I have visited, and can be a culture shock for regular travelers. To be very honest, Bakelalan is not for everyone. Yes, if you love the fast city life, lifestyle cafes, malls, fancy restaurants, fast food and so on, you will not find any of that here. There isn't even an ATM machine or banks available in the highlands, hence cash is king here. Unless you have something of interesting to barter trade? This is a pure and natural destination, without any modernization or development. It is a farming culture that lives in the highlands and perfect for anyone who wants to see the original side of Sarawak. Life remains simple and yet beautiful, with a lot of outdoor activities to participate in. Hence, this place is a bird watchers paradise or for anyone who loves trekking, culture and nature. And if you are considering to visit this stunning place, I have also written about the things to do in Bakelalan as a rough guide. In my few times of visiting Bakelalan over the last few years, nothing has changed here and still remains the way it should be. 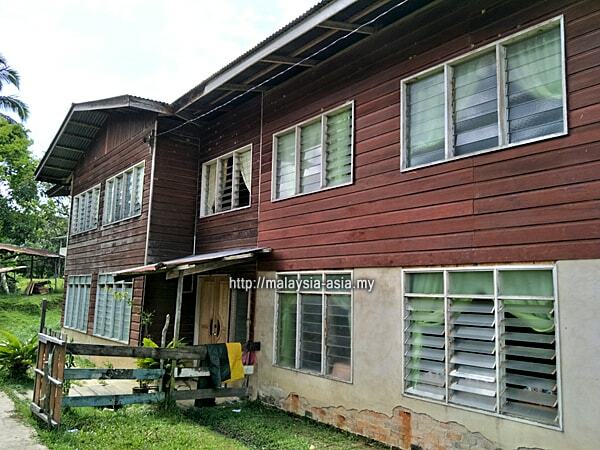 What got me overly excited was the fact that I managed to see and experience the last Lun Bawang longhouse here in Bakelalan, and I hope that the locals keep it the way it is. I would highly recommend this destination for anyone who prefers an eco tourism experience, and also to see and learn about the amazing Lun Bawang people of Bakelalan, Sarawak. 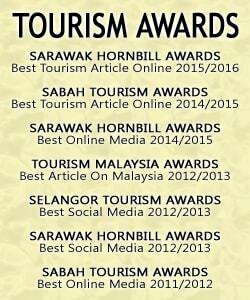 In my opinion, Ba'kelalan remains the top rural destination to visit in Sarawak. Warm friendly people with beautiful scenic views. Thank you Kevin. Yes, sometimes people tend to overlook the real beauty of a destination, and it is my job to try to share all these info with everyone. Personally, I think Bario and Bakelalan are one of the best places I truly enjoy visiting. 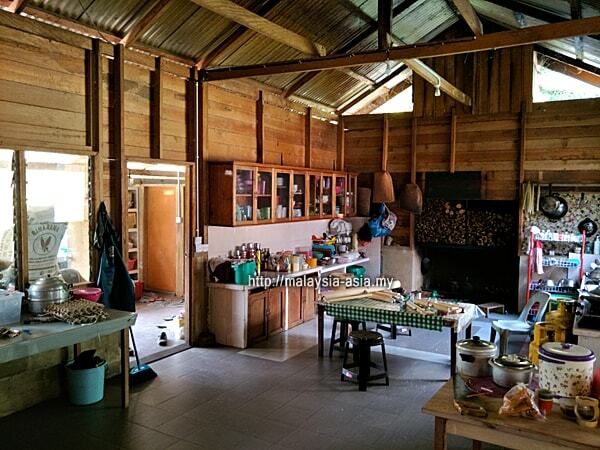 I absolutely adore the kitchen and common area - food and recreation are meant to be shared with everyone! I do hope I can make it to Ba’kelalan in the future.